After a long, hot and humid (yet rainless) June it sounds like things are about to change up. A yellow (level 2) storm warning is in effect for Wednesday, June 28, 2017. 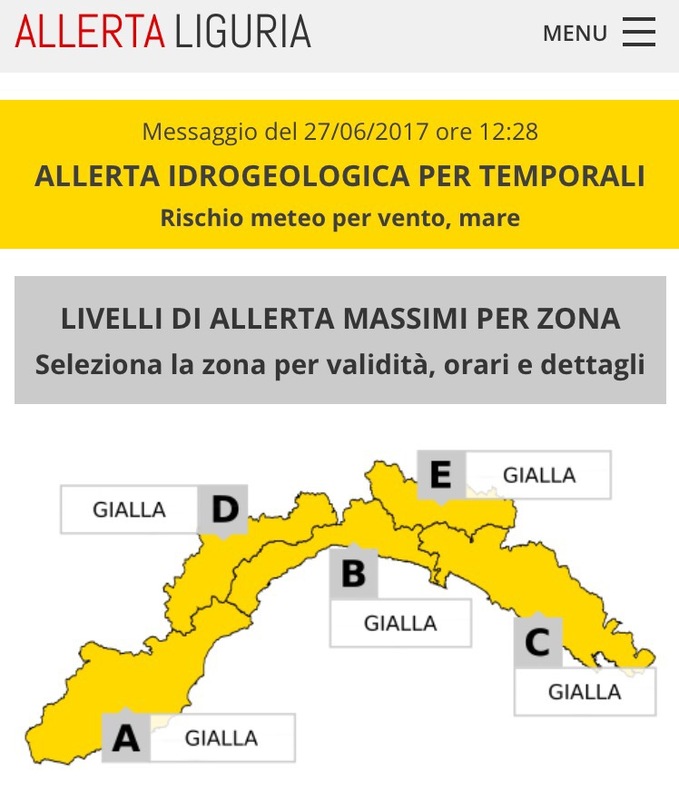 Our entire region (Liguria) is on a yellow alert but more specifically the Cinque Terre are on a yellow alert from 6am to 8pm on Wednesday, June 28, 2017. Meteorologists are expecting storms with heavy precipitation, strong winds and rough seas. 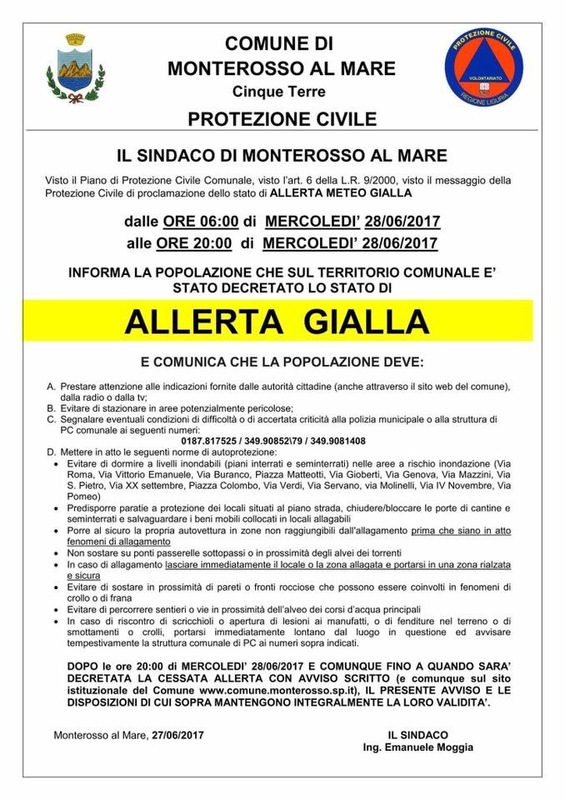 What does this mean for visitors to the Cinque Terre? 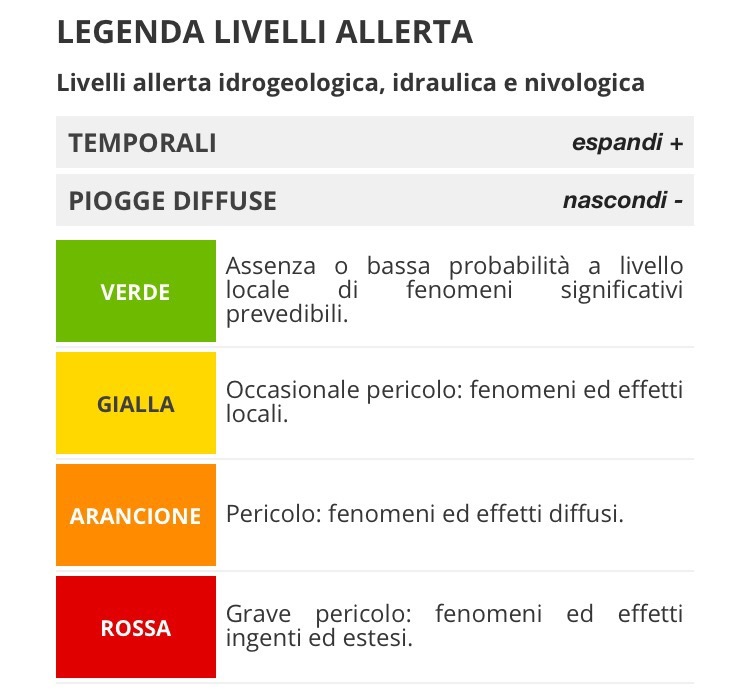 All hiking trails within the Cinque Terre National Park will be officially closed during the storm warning. In case of torrential downpours, stay away from low lying areas or potential flood zones. In case of rough seas, stay away from the water’s edge.